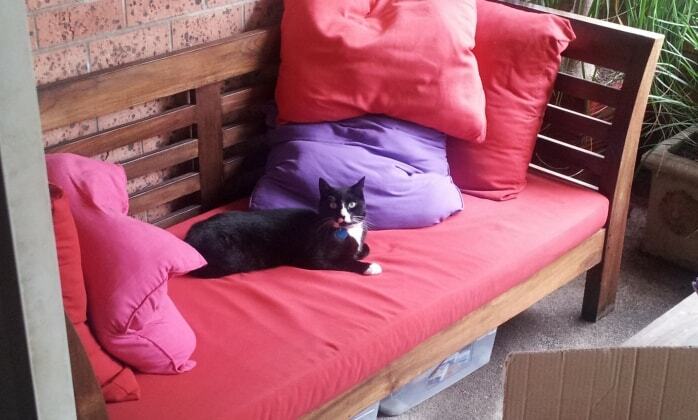 Our home is a compact 2 bedroom apartment, suitable for cats and smaller dogs with a 15m2 balcony (our previous cat visitors love it) located close to Domain and Ruchcutters Bay for dog walking. We are a couple, one working full time the other one casual/part time. After our own dog died 2 years ago at the respectable age of 19.5 years we decided to hold back on getting a new pet. But in the meantime we have looked after friends cats and dog when they were on holiday and fully enjoyed that. Thank you Wim for looking after Bailey, she enjoyed every moment with you. Thanks Wim for taking care f Pepper so well. We would highly recommend Wim, easy communication and flexible with times. Pepper was very excited when she returned for her second visit, a great sign of a good stay.